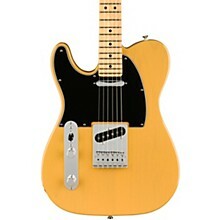 From a whisper to a scream, from pure country twang to serious rock and roll—even jazz—there are few guitars as outright versatile as a Telecaster. 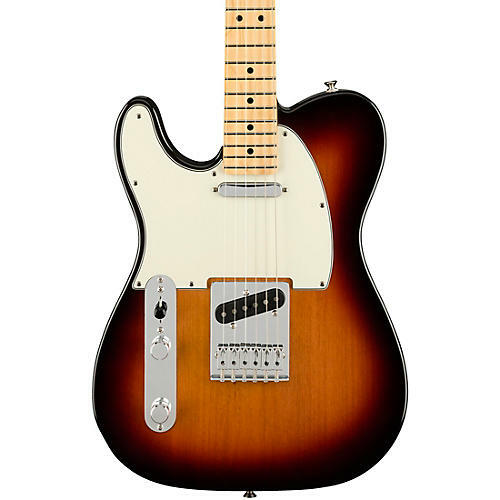 Respecting that long and storied heritage, while enhancing the instrument with the kinds of contemporary innovations that appeal to both casual and professional players, the Fender Player Series Telecaster puts a modern edge on the authentic Tele tone and vibe. Starting with a classic solid alder body loaded with Fender's Player Series Alnico V single-coil Tele pickups, the Player Series Tele adds a satin-finish Modern-C profile neck with a smooth, fast 9.5"-radius fingerboard and 22 medium-jumbo frets for clean, easy bending and expanded range. The thru-body-strung, six-saddle bridge provides precise intonation and the vintage-style, bent-steel saddles add some extra bite to the Tele's traditional twang. 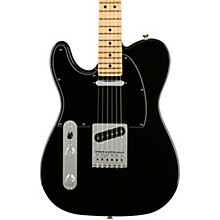 A true workhorse for virtually every musical genre, The Player Telecaster may be the guitar you'll play for the rest of your life, no matter how large your collection may grow.